The photographer of this bizzare photo is unknown. I wish I could take credit for this picture. The absurdity of it just makes me smile every time I look at it. 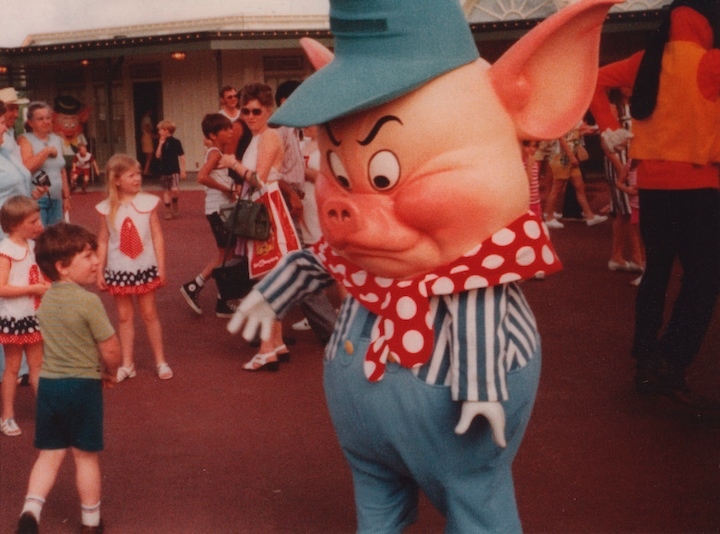 This cartoon pig looks so freaky with it’s disjointed arms and angry expression. At least the kids around it don’t seem too alarmed.